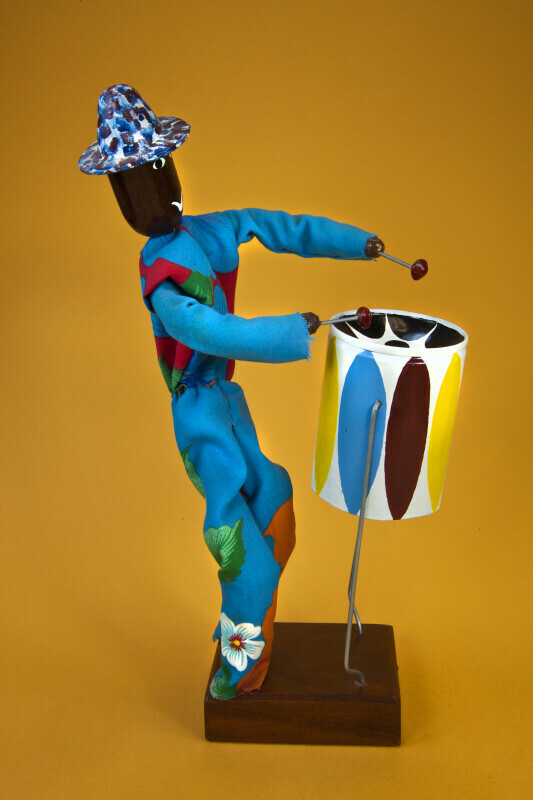 The Bajan man is standing behind a steel drum, which is being held up by two pieces of wire. The drum is made from a tin can. He is holding two drumsticks that are made from wire with painted glue balls on the end. Steel drums are played with drumsticks that have rubber tips, often called pansticks. This figure stands 10 inches (25 cm) tall. WARNING: You are about to download a 35.0 MB TIFF!